Prime Minister Shinzo Abe’s focus on reviving confidence to spur economic growth means he will drive the Nikkei 225 stock average toward 22,000 next year, a level unseen since 1996, according to Barclays PLC. Abe’s willingness to push for unprecedented monetary easing helped turn the Nikkei 225 — first published in 1949 — into the world’s best-performing major stock index this year. Shares have climbed as the Bank of Japan’s decision to double the monetary base sent the yen tumbling, boosting corporate profits for exporters. It also held government bond yields at the lowest levels in the world, enhancing the allure of equities. Trading has surged as individual investors became more active. 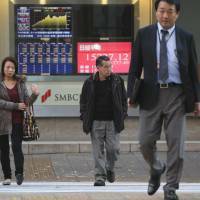 The average daily trading volume in the Nikkei 225 climbed this year to 2.1 billion shares from 1.3 billion in 2012. 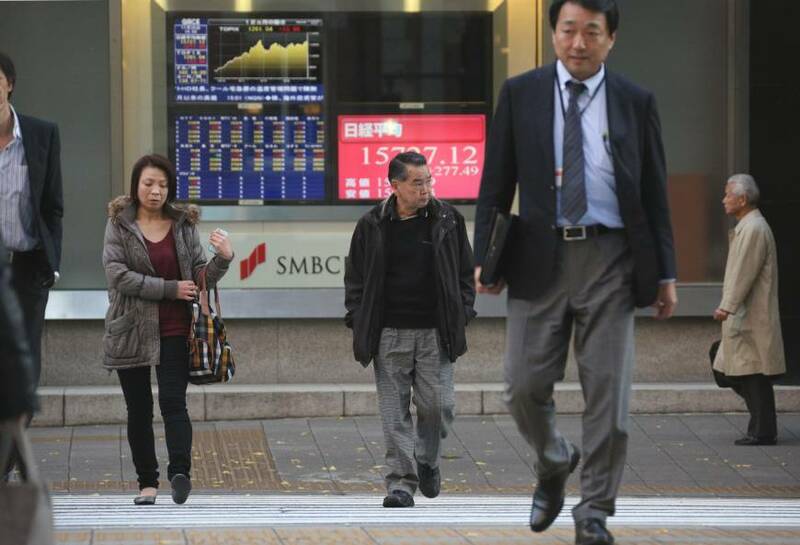 Domestic retail investors increased their presence in equity markets to 30 percent in November from 22 percent a year earlier, according to Tokyo Stock Exchange data. “That’s what a lot of this is all about: Encouraging people to take the money that’s sitting under the pillow and put it into something more worthwhile,” said Wright. An index of consumer confidence rose to 42.5 last month, after reaching 45.7 in May, the least pessimistic reading since May 2007, before the start of the global financial crisis. Japan’s economy will probably grow 1.8 percent this year, outpacing the U.S., median estimates of economists polled by Bloomberg say. Inflation accelerated to a five-year high of 0.9 percent in October, after consumer prices excluding fresh food fell at an average annual pace of 0.3 percent since 2000. Even so, economists polled say the BOJ will struggle to achieve its 2 percent inflation target, and Wright agrees.